Hello! 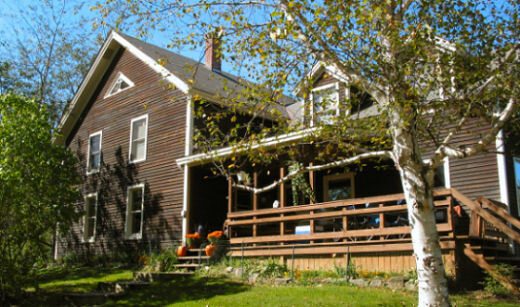 We invite you to visit our green, eco-friendly Crown Point Bed and Breakfast nestled between the towns of Ticonderoga, Schroon Lake and Port Henry in the Adirondack Mountains of Northern New York State. We offer earth friendly lodging that has a low carbon footprint because we utilize solar energy for our electrical power. Our alternative energy system is sufficient for air conditioning in the summer and all the amenities (wireless) year round. Enjoy a wilderness experience with the comforts of home. 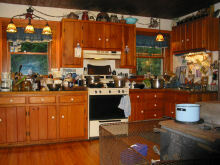 Relax in a warm, spacious, Civil War era farmhouse on 200 acres. Hiking, climbing, camping, boating, canoeing, white water rafting, mountain biking, cross country skiing, snowshoeing, fishing and swimming are all minutes away. The Pharaoh Wilderness area, less than 5 miles to the south, contains many thousands of acres of mountain forest filled with numerous lakes, ponds and streams. The Bed and Breakfast is just 10 minutes from Lake George, a 32 mile stretch of water considered one of the most pristine and scenic lakes in the country. Just as close is beautiful Lake Champlain which stretches 123 miles along the eastern edge of the Adirondack State Park. The region is rich with numerous historical sites that take visitors back to the turbulent times that gave birth to our nation. Many of these locations attract reenactment enthusiasts from across our land. In addition to all of this natural beauty we are at the center of a ring of small cities about an hour away. Plattsburgh, Lake Placid, Glens Falls, and Burlington, Vermont all offer an excellent mix of outlet, antique and craft shops, restaurants and sports events as well as theater, arts and other cultural and educational activities. We are also less than three hours from the major city of Montreal and less than a days drive from anywhere in the northeastern United States and southeastern Canada. A hearty breakfast is served with personal attention by your hosts John and Nancy Ockrin. We offer guidance to local recreational, historical and cultural attractions, special events and fine restaurants. 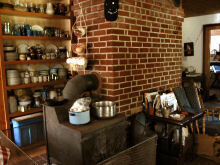 Our home provides a unique lodging experience reflecting the nature and character of our family life. For information on availability of rooms and our reasonable rates call 518-597-3754 or email us at info@stoneylonesomebb.com. Please keep in mind we are a small family run business and a two week window is necessary for refunding if you need to cancel. Awesome breakfast!! We had a lovely stay. wish we had more time to stay and enjoy hiking and other activities around. Thank you so much. Thank you for your amazing hospitality. You made 2 Manitobans very happy. Thanks you so much for taking our booking at short notice and 'out of season' ! We really appreciate your families hospitality, and our friend Andy, in particular, enjoyed his early morning walks with Tucker. We will all head home with fond memories of a great break in the Adirondacks. Not your 'usual' B & B, the hostess is what makes this place so special! A great discovery off the beaten path. After driving from the hustle and bustle of NYC, it was extremely relaxing to stay at Stoney Lonesome, with its homespun feel, a refreshing change from the fast paced city. First we had a scenic drive from the highway past Schroon Lake and Paradox to the wilds of Stoney Lonesome. We received a fine welcome from Nancy, who handled her 'full house' on this particular night all alone with elegance, warmth and just the right touch of humor. Fantastic breakfast! She made us feel right at home with her open manner and gentle touch. It was almost like visiting with family, somehow. We regret not to have met John, but found his solar panel installation super. Hope to pass this way again.